IV conscious sedation is a controlled form of sedation, meaning medications are administered as needed during the procedure allowing for a faster onset. It allows for full control over the state of sleep during the surgery. When needed, you will be somewhat awake to follow Dr. Fotek’s directions but you will still be in a sedated state. When needed, you will fall right back to sleep. After the procedure has ended, you will be released to the responsible person that will take you home and stay with you until the effects of the sedative drugs have worn off. Oral sedation has the advantage of being administered at home. By the time you reach our office, you will be relaxed and sleepy. The effects, however, last for several hours so you must have a driver and plan to take the evening off. Nitrous oxide has the benefit of inducing relaxation immediately, with the effects dissipating just as quickly. 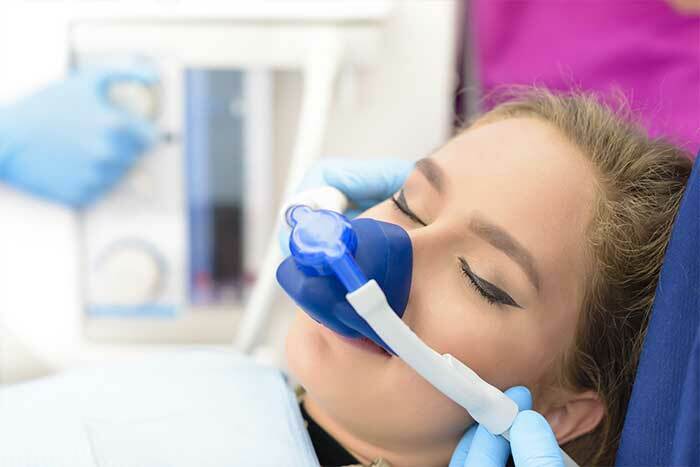 Administered via a nose mask, the colorless gas has no odor and is an ideal method of sedation dentistry for a patient who must return to normal activities right after the procedure. For exceptional service and quality care, call our office in Palm Beach Gardens, FL to schedule your consultation today. Dr. Fotek and our team of skilled professionals are committed to helping you achieve a beautiful, healthy smile with gentle periodontal treatment, implant dentistry, and preventative care.